The national park with all the ice. Crampons at the ready! Westland Tai Poutini National Park stretches from some of the highest peaks in the Southern Alps all the way to the West Coast. In between are two of the New Zealand’s most famous glaciers: Franz Josef and Fox Glaciers. Tourists usually visit the national park with one idea in mind: to walk in and on the glaciers. The glaciers are great, of course! But being an awesome backpacker means exploring more reasons to love the Westland National Park, such as seeing how the locals created their own amazing mountain bike trail or seeing rare and native birdlife on a kayaking trip. There are hikes to natural hot pools surrounded by snowy mountains, lakes so reflective that they look like mirrors, and dense native rainforest that makes you believe you have stepped back into a “land before time”. 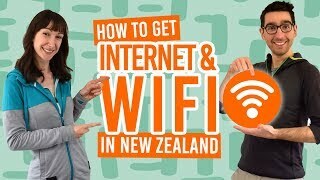 So take a look at the guide below to see what a backpacker can do in New Zealand’s Westland Tai Poutini National Park! Take a helicopter onto the Franz Josef and Fox Glaciers. Hike in the glacier valleys. Mountain bike in the local favourite: the Faultline. See white herons and get awesome views by kayaking in Okarito Lagoon. Since the early 1900s, Franz Josef Glacier and Fox Glacier have been the main attraction for tourists. 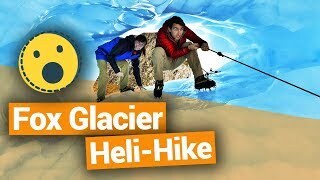 Today, people are hiking to get the best views of the glaciers, flying onto them in helicopters, and climbing the ice. (And doing a whole bunch of other stuff, which you can learn more about in 7 Ways to Take on New Zealand’s Glaciers). It’s not very often that you get to explore the inner cracks and crevasses of a glacier, so backpackers often choose the Franz Josef and Fox Glaciers as these are the most accessible in the country. We are so fond of these worlds of ice that we made a whole backpacker guide about them. 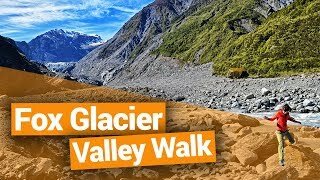 See Glacier Country – Guide for Backpackers to get a list of walks and activities you can find in the Franz Josef and Fox area. We’d hate to be cliche, but it’s a New Zealand must do! The hikes are forever changing in Westland National Park thanks to the retreating Franz and Fox Glaciers. From forest walks to glacial valley walks, there is more than enough to keep you busy. Some of our favourite Franz Josef hikes include the Tatare Tunnels (1h20min return), the Wombat Lake Track (1h30min return), Sentinel Rock Walk (20 minutes one way), and Alex Knob (8-hour return). In Fox Glacier, Te Moeka O Tuawe Valley Walk (1 hour return), Copland Track (2 days) and Lake Matheson Walkway (1h30min loop). For more information on these hikes, check out the Glacier Country – Guide for Backpackers. In the glacial country with tough environments, glaciers have carved some interesting terrain for keen mountain bikers. The Department of Conservation (DoC) and some locals have put together fine biking trails. Weheka is the Maori name for Fox Glacier, so this track is in the Fox Glacier valley. Follow the track through rainforest with some steady climbs along the way. See the historic Fox River swingbridge then continue on your way to the end of the track where this leads to multiple walks in the Fox Valley. You cannot take your bike beyond the Te Weheka track. Start this 1 hour return journey from State Highway 6 south of the Bella Vista Motel. This is the Franz Josef equivalent to the cycle track mentioned above. Steadily head up the valley full of rainforest and birds. This is a 1 hour return track that can be found outside the national park visitor centre and i-SITE. Cross and go under the Waiho River bridge where the track starts along the Glacier Access Road which is marked for walkers and cyclists. Created by 2 locals, the Faultline is short but seriously fun. There are many twists, turns and structures along the 2km track, where you can also do laps. It is the most adventurous mountain biking you’ll find out here. The track is 3km north of Franz Josef township. It is on the first right after the Glen Fern Villas complex. Who needs a guide? Guide your own Goddamn self! Is exactly what the DoC must have thought when they designed the Okarito Lagoon Kayak Trail. The trail is marked with white heron shaped markers. That’s because this wetland is the perfect habitat for birds with more than 70 species being seen here. With the lake stretched ahead and the snowy mountains in the background, this is a great way to spend about three hours of your day doing the trail. To the get there, drive 15km north of the Franz Josef township and turn left at the Okarito signpost. You can hire kayaks in Okarito. 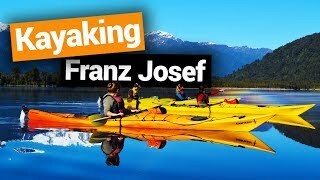 For those who like the convenience of a guide, such as transporting equipment and learning a few fascinating facts along the way, kayak tours run from Franz Josef taking you to the dark and reflective lake of Lake Mapourika. Kayak through creeks, listen to Maori legends told by your guide, and take advantage of the photo opportunities! Go Kiwi spotting from Okarito. Get rich! Go gold panning in the Waiho River between the Callery Gorge suspension bridge and the Waiho River road bridge. Take a scenic flight to see the whole of the national park from mountains to sea. 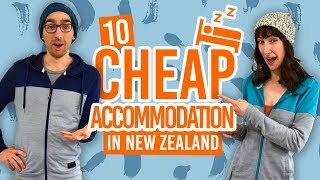 Where to stay in Westland Tai Poutini National Park?